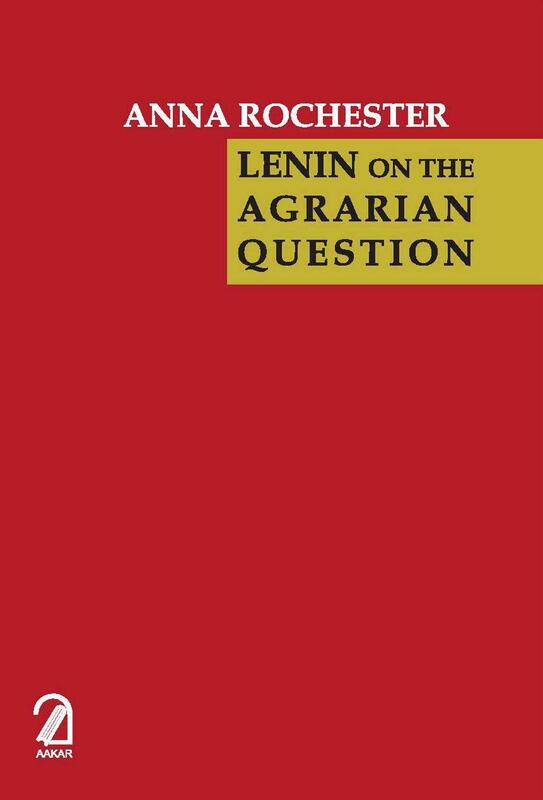 After stating briefly the nature of the peasant problem in Russia of the 1890's, this book follows the course of Lenin's thinking on agrarian questions both in Russia and in countries of more advanced capitalist development. This stiry is told against the background of the Revolution of 1905; the extreme reaction whihc followed; revival of revolutionary activity culminating, after three years of imperialist war, in the Soviet Revolution of November, 1917; the desperate struggle against counter-revolution; and the final victory of Soviet power. Special chapters are devoted to theoretical discussion of small producers and socialism; the land question; the role of co-operatives; and a summary of the underlying principles guiding Lenin's actions on the agrarian question. What happened to Soviet agriculture under Stalin's leadership after Lenin died is briefly told in Chapter XI. The book closes with a postscript on present trends and problems in American agriculture in the light of the Lenin's general principles and of his study of American farm census data before the First World War. Anna Rochester was an American labor reformer, journalist, political activist, and Communist. Although for several years an editor of the liberal monthly The World Tomorrow, Rochester is best remembered as a co-founder of the Labor Research Association, a bureau which collected and interpreted labor statistics in close coordination with the Communist Party USA.